Our team at Advantage Seamless, as a leading gutters replacement service provider, takes gutter sizing seriously because we understand its importance in keeping your home in top shape at all times. Every homeowner needs professionals who are well-trained in determining how much gutter will be sufficient in keeping the various components of their home safe from the perils of water damage. The size of your gutters affects their ability to sufficiently drain your roof. Gutter systems are primarily designed to draw water from your roof and lead the water towards the ground without causing any sort of roofing damage in the process. Leaky roofs are not easy to deal with and can be avoided by keeping your gutters in good working condition. As professional local gutter installers, our Advantage Seamless team keeps in mind that any resulting foundation damage caused by leaky gutters can put your home’s safety at risk. Early deterioration is a reality that some people tend to overlook. Our team, however, offers a 25-year warranty on every job we perform because we know what’s at stake. In addition to the effects on your home’s structural integrity, gutter installation can also make or break your home’s curb appeal. Ill-fitting gutters can make your home look haphazard or seem to be in disrepair. 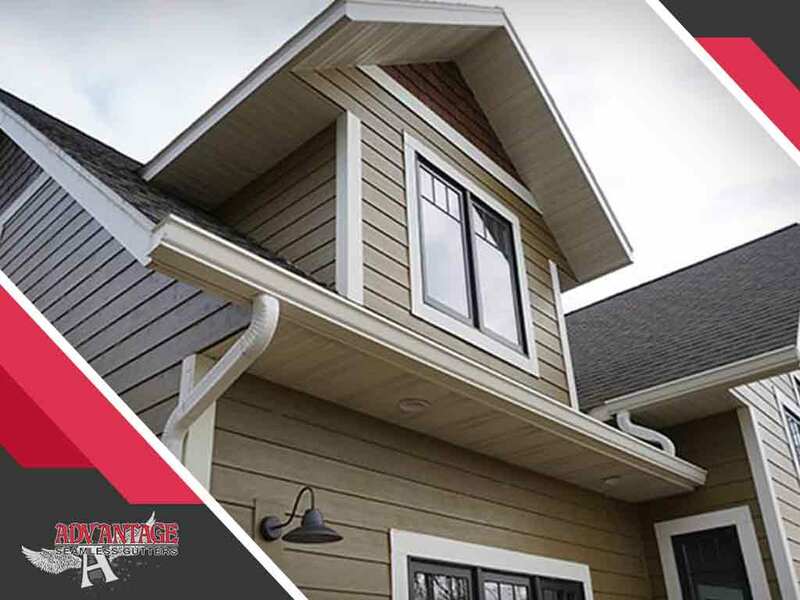 Seamless gutters that are custom-built to fit your property will make it more elegant, sending a message that your home has been properly cared for and will look beautiful for many years to come. We are a family-owned, local gutter company that doesn’t just have the interest of our customers at heart. We care about the well-being of our community too. Let us help save your home by keeping it in good shape and allow us to give back to various charitable organizations in return. You can reach us at 218-212-1818 (Baxter), 218-692-2663 (Crosslake) or 320-421-8726 (Alexandria). Inquire about our free, no-obligation estimates for residents in Baxter and Brainerd, MN.